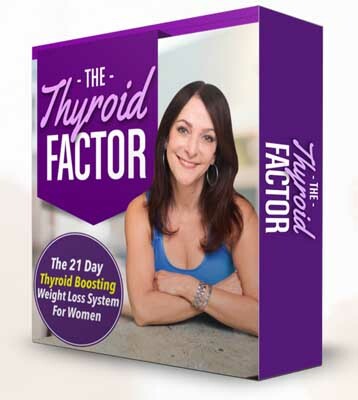 The Thyroid Factor is sold as a package of downloadable ebooks in PDF format. PDF books can be read on any computer device, including desktops, laptops, and smartphones. You can download the books immediately after purchase, without having to wait for mail delivery. The main Thyroid Factor book is 23 pages, and it’s written in double columns, which makes it somewhat difficult to read, as you have to scan down the page and then back up again. I’d recommend that you print the book out, as it’s going to be easier to read that way than if you try to use a computer or phone to do it. The formatting is attractive and professional, but the double columns makes the book hard to read in electronic format. The book gives an overview of the thyroid gland, pointing out where it’s located and what it does for the body. The thyroid does have a number of important functions in both digestion and overall health, and the author says that some 30% of women have a problem with their thyroid gland not working properly. If it isn’t working properly, there can be a number of symptoms, including weight gain, forgetfulness, a feeling of mental “fogginess,” fatigue, poor sleep, hair loss, and more. Obviously, these symptoms can be serious, and some could potentially be life-threatening. The author points out, correctly, that if you suspect that you have a problem with your thyroid, you should consult with a physician about it. These tests are common and well-known, and any reputable doctor will be familiar with them. If you are diagnosed with a thyroid condition, you may be given a prescription for one or more medications. Thyroid Factor describes the tests in detail, and also goes into detail to describe the medications that you may receive, how they work, and how they’re produced. It was nice to see a book in the health niche that did not show undue skepticism regarding the medical profession. The 101 Thyroid-Busting foods book offers a list of 101 foods that the author says can help you maintain good thyroid health. There were a number of surprises on the list, and each food is accompanied by a photo and a paragraph describing the food and how it can help. The Quick Start Guide is a short but informative book that covers the important parts of the main book without going into extensive detail about the science behind the thyroid. The background information is nice and helpful, but if you want to get going right away, you’ll want to look over the Quick Start Guide, as well. 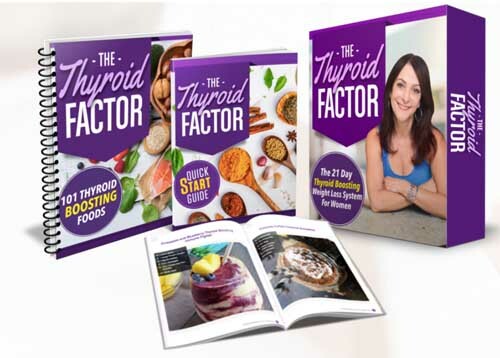 The Quick Start Guide offers a number of tips for how you can change your lifestyle in order to help your thyroid function in a more healthy manner. This, in turn, could help you get over some of the symptoms described in the book. If you have a thyroid condition, and if you’re overweight and if the thyroid condition is responsible for the fact that you’re overweight, then getting treatment for this condition will likely help you lose weight. If you do not have a thyroid condition, and most people do not, then you likely won’t find the book to be of much use. Still, it’s an informative and interesting guide to help you better understand how this vital gland works to keep you healthy. The thyroid gland is an important one, providing several vital hormones that the body needs in order to function correctly. As it happens, a malfunctioning thyroid is a surprisingly common medical condition, especially in women over the age of 50. If you have such a condition, you may find that it can lead to a variety of unpleasant symptoms, including excess weight, fatigue, hair loss, difficulty sleeping and a few other things. These things are treatable, and you’ll find that this book outlines the symptoms well. It also provides details about how you can have this condition treated, and offers details about the tests that you may need to have done in order to diagnose the condition. You’ll also find a list of treatment options, with an explanation as to what the treatment options are and how they’ll affect you. 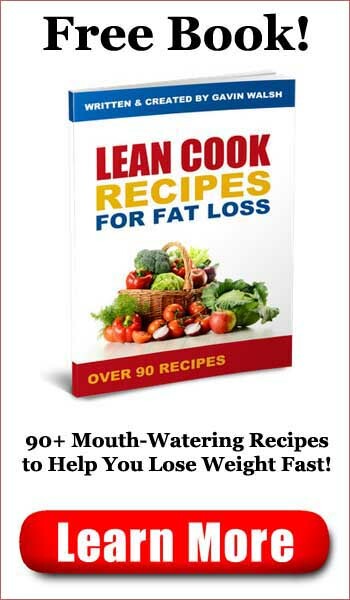 You’ll also get a list of foods that can help you eat better and thus have a healthier lifestyle. If you suspect that you may have a thyroid condition, then Thyroid Factor may help you. 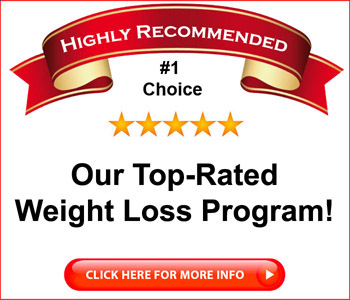 Eat Stop Eat Review - Simplified Weight Loss?